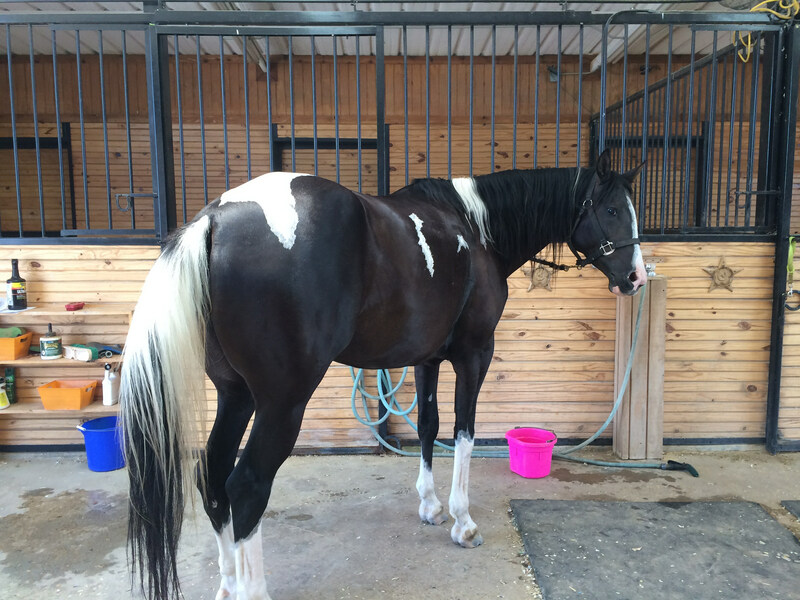 This is Annie AKA “Ima SkipAbar Annie” she is a 2009 Black and White Tobiano Pinto Paint Half Arabian. Annie has been DNA color tested to be a true black with no agouti gene. 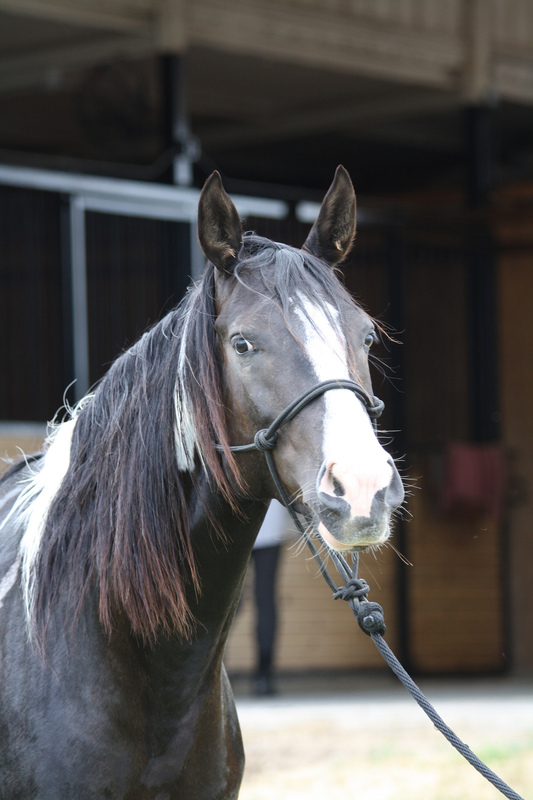 She is a classy mare with a great handle and nice moves. 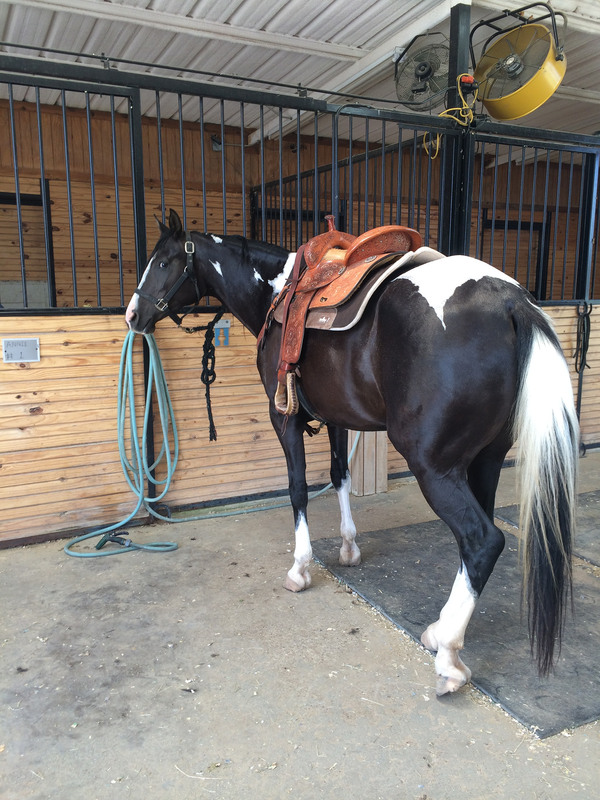 She is 15.2 and is a great mover rides both english or western. 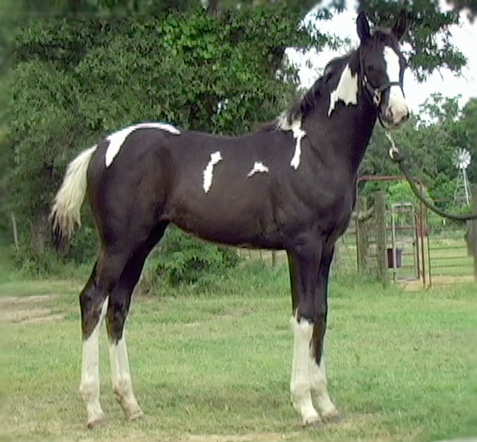 This mare is very pretty and stout. Sweet and fun disposition. Very friendly gal with a lot of personality. 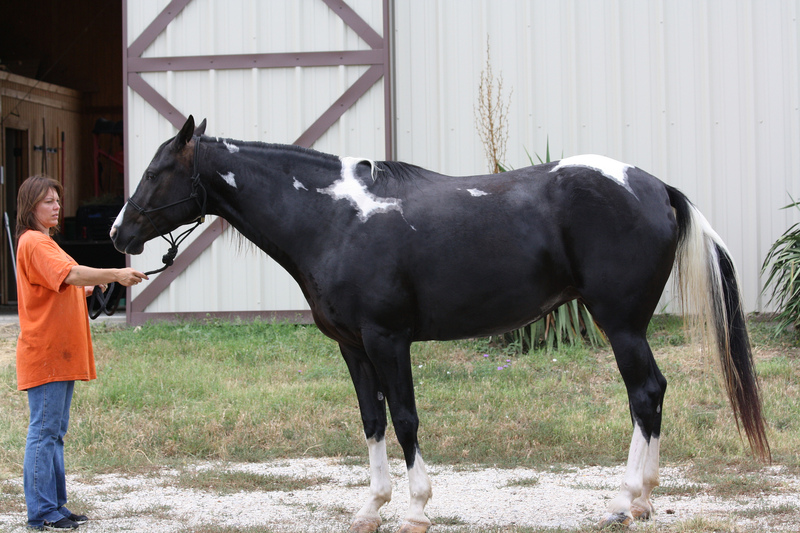 She prefers people to other horses and loves attention. No spook and easy going. 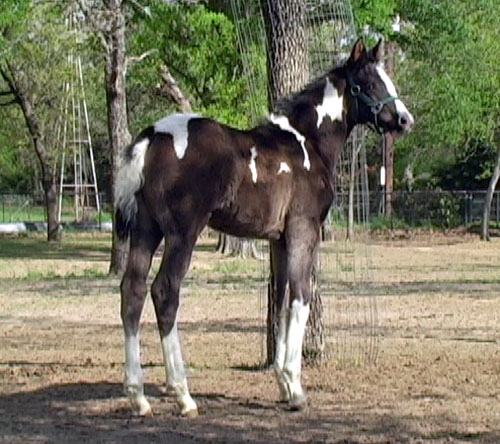 She is a full sister to Black Chaytan CTA, who took multiple PtHA World Championship titles at only 4 months old as well as a AHA Region IX Res. Championship. 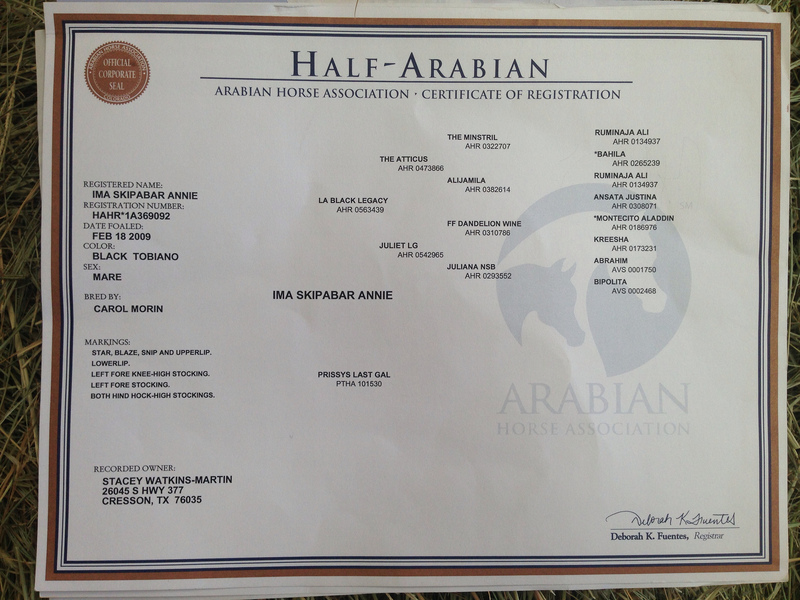 Her sire, La Black Legacy, is a beautiful tall Black Egyptian Polish bred Arabian stallion. 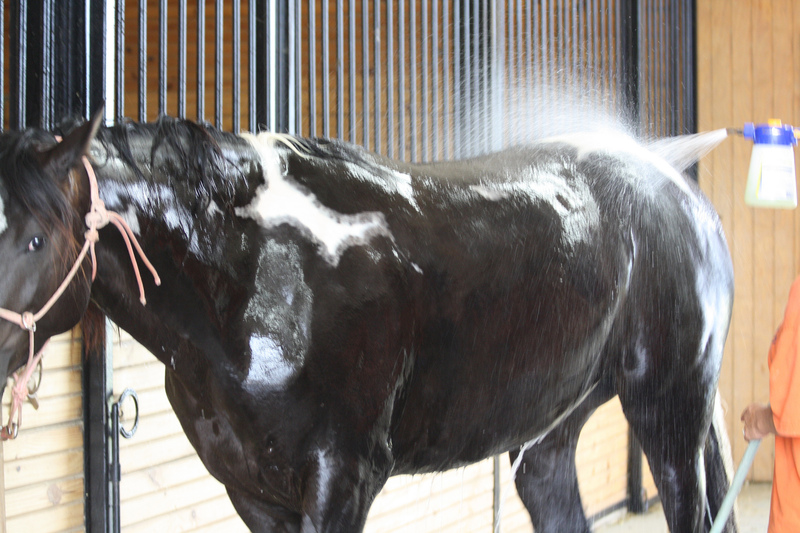 He is a The Minstril grandson and he also traces to imported Polish lines as well as Varian Arabians National Park Horse Champion, Mikado. 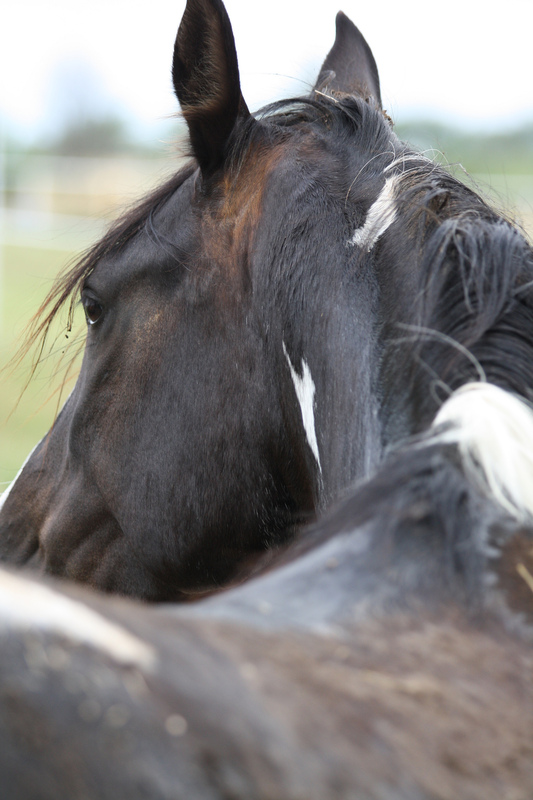 Legacy adds length of leg, refinement as well as wonderful movement to his foals. 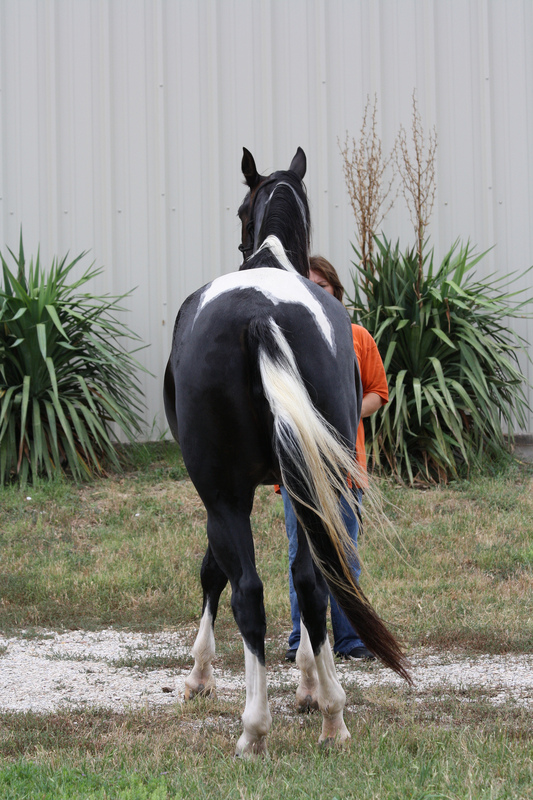 Her dam, has many lines tracing to Leo and Three Bars. 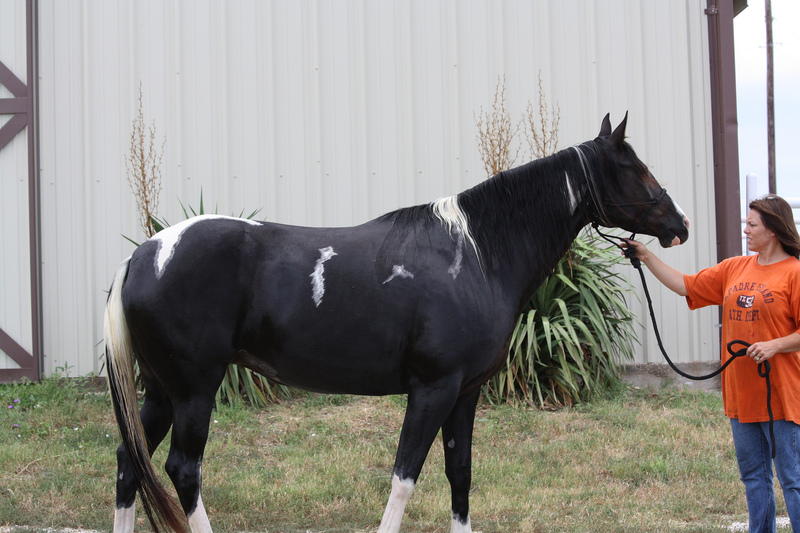 She traces as well to Sky Bug Bingo ( Champion and sire of 17 World/National Champions earners of 11687 points, 29 APHA Champions, 12 Versatility Champions, etc. ), Top Deck, Go Man Go and Skipper W.